this is one of my many piles of paper. i love rummaging through magazines and i love tearing them to pieces. i cut out fun images, quotes, letters, articles and i put them in various piles to go through later. this pile has grown considerably over the past week and wants organization desperately. i do have a filing system, for future reference of course, but it is a time consuming activity. this particular pile is mostly yoga centered. 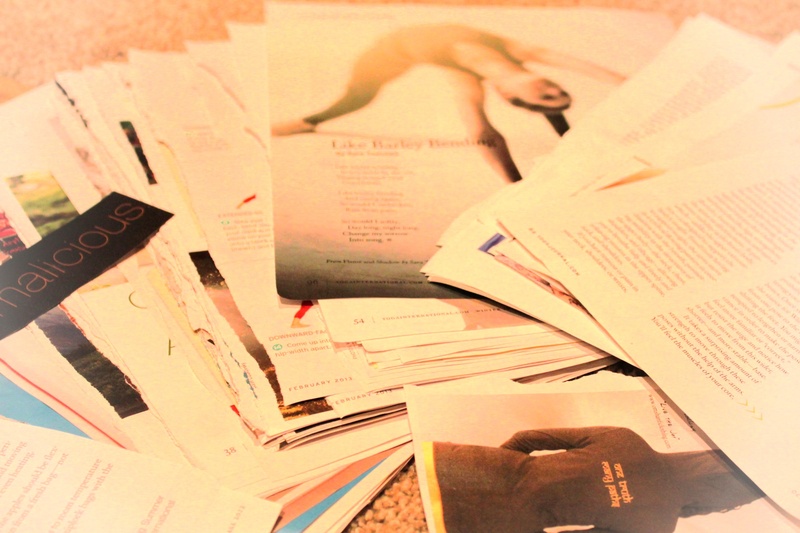 actually most of my many paper piles seem to be yoga centered…aparigraha anyone?